Cambodian Children's Fund (CCF) and HFCA first starting collaborating together in November 2009 when 20 CCF students joined our training program. In the eight plus years of our partnership, the bond between our two organisations has grown strong as we work closely together to support the boys and girls who attend our programs. Presently up to 120 CCF youth attending our weekly training programs and we offer CCF students other exciting opportunities to develop and grow such as the KMH Champions Leagueand the annual Homeless World Cup. Since 2010, 15 young men from CCF have attended this life-changing international football tournament. "HFCA is terrific organisation and we're very proud of our association. It gives otherwise neglected youth a sense of self-esteem, competition and the value of teamwork. Those able to make the Homeless World Cup team are given a world perspective they could never otherwise imagine. In terms of return on investment, it's one of the best in Cambodia." 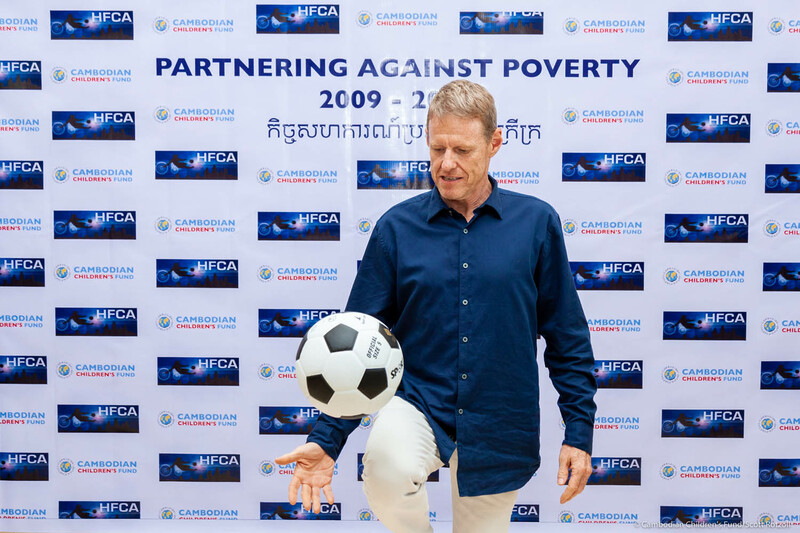 Scott Neeson, Founder Cambodian Children's Fund. CCF/HFCA program participants show their approval for our new MOU. Photo P Grogan. HFCA's Paraic Grogan & CCF's Scott Neeson signing the MOU. Photo Scott Rotzoll. 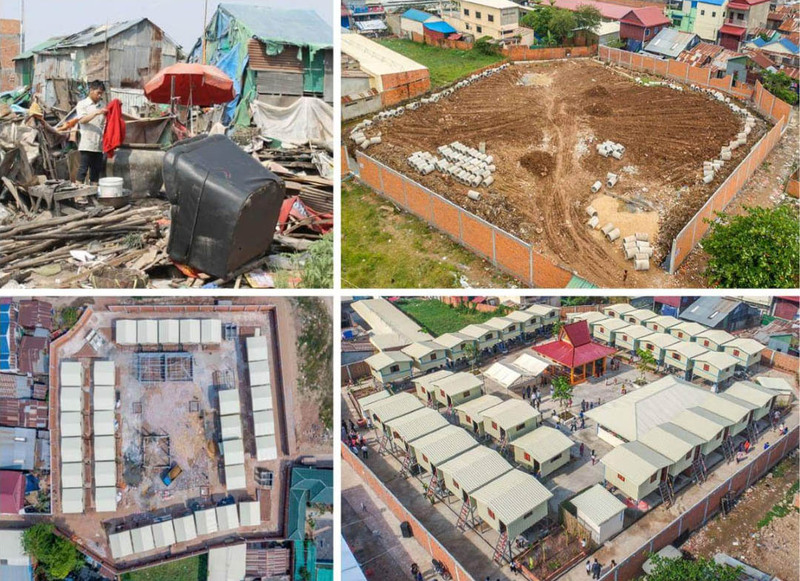 Since 2004, CCF have been working with some of the most impoverished communities in Cambodia, centered around the former garbage dump at Steung Meanchey. Back then, CCF's world revolved around the health and well being of 45 children living on the garbage dump. Today there are around 2,000 students working towards a better future for themselves and their families through CCF’s award winning education program. 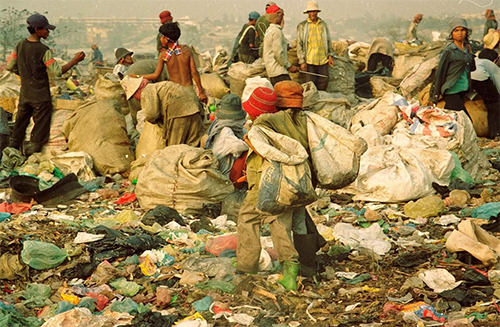 At Steung Meanchey dump in 2005 is a young girl (red hat in middle of picture) working to survive another day. With CCF's support she is now a student in Trinity College, Melbourne. CCF knows it can take a decade or longer to really change a child's life. Photo Supplied. Scott Neeson & the Dalai Lama in Perth, Australia in August 2015. Photo Supplied. Scott's commitment to working with disadvantaged youth in Cambodia means he is often asked to speak at public events all over the world to share his experiences and in 2015 he shared a stage with the Dalai Lama. An example of the amazing work CCF are doing providing real solutions to the very serious issue of providing suitable housing for CCF students and their families. 33 new homes built by CCF and rented out to families at $15 per month. CCF operates 64 projects across 6 core program areas as part of our comprehensive approach to community development. While many of these programs are not education-focused, they all play an essential part in their success in providing education to many children who were once thought unreachable. CCF’s program model is based on a simple idea. They believe that by providing a child with a high-quality education, they will be able to lift themselves and their family out of poverty. 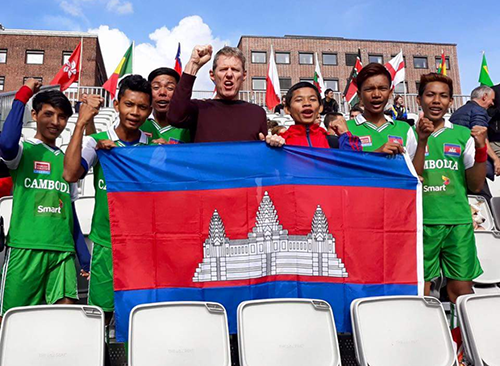 Cambodian team and Scott at the 2017 Homeless World Cup in Oslo, Norway. Photo P Grogan. But to get children to go to school, and to keep them going, CCF know they need to do more than provide education. CCF aim to address the issues and dysfunction that keep the children away. A child will not be able to study if they are hungry or malnourished. A child cannot attend school if their family depends on them earning an income to put food on the table, or to look after siblings. Families cannot prioritise a child’s education if they have nowhere to live, have no access to healthcare or are struggling under crippling debt. CCF provide free healthcare, childcare, loan programs, food and nutrition programs, housing and emergency support services, and by doing so they incentivise children’s education in impoverished communities. They make sure that a mother never has to choose between sending a child to school and putting food on the table. CCF's graduation ceremony held in December 2017 for their first 25 students who have completed their university degrees. This young lady pictured with Scott joined CCF back in 2004/2005 and has turned her life around through hard work and dedication to her studies. Photo Supplied. The last piece – the one that makes it all fit together – is CCF Leadership Program. CCF want their students to graduate from high school, university or vocational training, with the skills they need to secure gainful employment. But CCF also want more than that – CCF want them to be passionate, engaged young leaders who care for their community and their country. CCF want to transform impoverished kids into tomorrow’s leaders, who will work to transform their own communities and country. HFCA Founder and CEO Paraic Grogan said, "15 years of international community development have taught me some very important lessons, one of which is that an organisations values are usually reflected in the person in charge. CCF and their staff's commitment to ensuring the best possible outcome for all 2000 children and their families they support is a testimony to Scott's leadership. He has an uncanny ability to talk to people from all walks of life and make them feel comfortable and valued. CCF are one of the most respected NGO's in Cambodia and we are delighted to continue our journey with them till 2021." 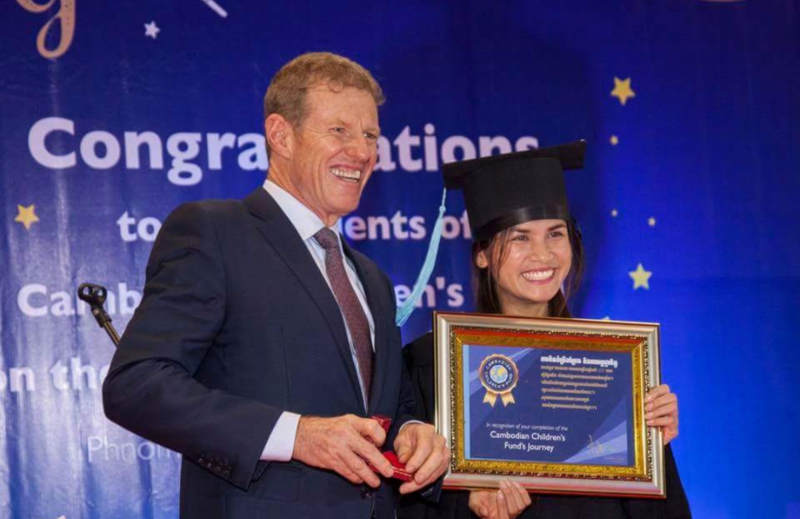 New partnership with Cambodian Childrens Fund. HFCA are delighted to announce a new partnership with CCF (Cambodian Childrens Fund). This story is part one of a three part series where we explore the impact on the players who have taken part in the last three Homeless World Cup's.